With “shades of Raymond Chandler and Dashiell Hammett,” a 1940s Los Angeles private eye must recover FDR’s kidnapped dog (The San Diego Union-Tribune). Working in Hollywood, private eye Toby Peters has met a lot of phonies. 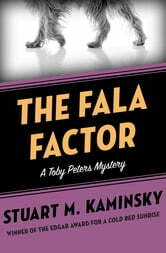 But his newest case concerns a four-legged faker who threatens the fate of the free world. A few classy dames have crossed the detective’s doorstep, but none can touch the hem of the dress of the First Lady herself, Eleanor Roosevelt, who’s come to him on a matter of top-secret national security. Six months after Pearl Harbor, Mrs. Roosevelt has developed a terrible suspicion. She thinks the president’s sprightly Scottish terrier, Fala, has been kidnapped and replaced by an imposter, and she wants Peters to find the real rover—for without him, all may be lost. As usual, the First Lady is right. Peters learns that the presidential pooch is the linchpin in a fiendish plot against the White House. Fortunately, this old detective has learned some new tricks, and he has no intention of rolling over and playing dead. 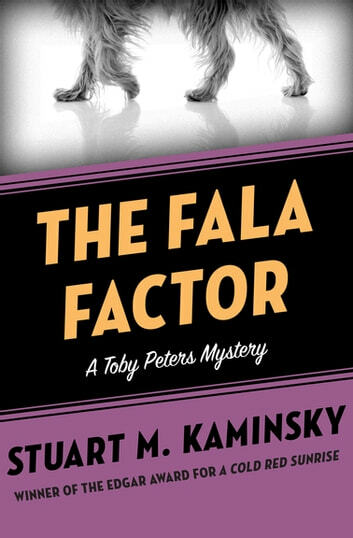 Featuring a cameo by Buster Keaton, this Toby Peters mystery is further proof that Edgar Award–winning author Stuart M. Kaminsky “has a delightfully original mind enriching—rather than borrowing from—an old literary form” (Los Angeles Times).